Kia vehicles range across various body types, but they all offer their drivers a fun-driving car that is designed to last long. And if you are specifically looking for a Kia dealership near Wilsonville, KY, The Kia Store is the place to go. With a large inventory of new and used Kia vehicles and a trained, experienced team of friendly professionals, we will help match you with the car you’ve been searching for.Wilsonville, KY, has the best of both worlds with its charming, small-town feel all while being close to the big city. And, having a dependable car that is enjoyable to ride as you cruise around the area checking out all it has to offer is key! Our lot is always full of the newest Kia models ranging across various body types and trim levels for each specific model. Having this diverse inventory means there is a vehicle that fits every driver’s personality. 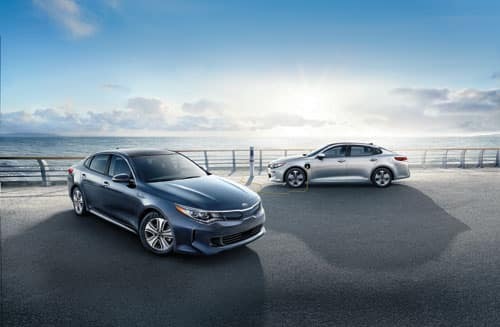 At any time, you will find a selection of sedans like the popular Optima, roomy SUVs like the Sorento, and even the family-friendly models like the Sedona minivan. Whatever you want in your new car, you can simply search and find right on our website. Scroll through our inventory and narrow your choices down to the specifications and features you want in your Kia. And to learn even more about each individual Kia we have for sale, you can come visit our Kia dealership near Wilsonville, KY, to see exactly what these cars offer. You can also check out our used and certified pre-owned Kia vehicles if you are looking for a great deal on your next car! Long after you drive off our lot in your new or used Kia, we want to continue to be there for you to ensure that your car lasts and continues to perform at its best for miles. 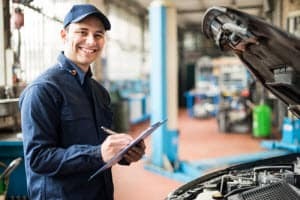 That is why when it is time for routine service or any other maintenance or repair job that your car needs to have done, we are ready to perform whatever it is your car needs. Our state-of-the-art Kia Service Center has all the latest tools and technology to quickly and accurately assess and amend any issue that your vehicle is experiencing. Our certified technicians thoroughly work on your car in an efficient manner, which lets you know your car is getting the best care and will be back out on the roads in no time! After you’ve checked out all our useful information on our website that can aid you as you do your research, you will then want to see the Kia vehicles you have your eyes on in person. At your convenience, you can stop into one of The Kia Store’s four convenient locations and have our team walk you through each step of the car-buying journey. And while you are here, make sure to schedule a test drive with us!